Craving action, adventure, and intrigue but don’t have time to become an international spy? Check out these TV shows like 24: Legacy to add to your watch list! If you haven’t seen it yet, 24: Legacy is an upcoming thriller drama television series that debuted on February 4, 2017, on Fox. The series is a spin-off of 24, which aired on Fox for 8 seasons, from November 6, 2001, to May 24, 2010. 24: Legacy will follow the life of Eric Carter, a war hero. Here are 5 other great shows like 24: Legacy. Might as well start with the original show, right? 24 is a television series that combined drama, crime, action, thriller, and espionage, all into one series. It aired on Fox for 8 seasons, from November 6, 2001 to May 24, 2010. The series centered on Jack Bauer, a counter-terrorist agent. Each episode of 24 covers one hour of Jack Bauer’s life, using real-time narration. 24 starred Kiefer Sutherland as Jack Bauer. Spooks is a British drama, espionage, action television series that aired on BBC One for 10 seasons, from May 13, 2002, to October 23, 2011. The series focused on a team of officers employed with the Military Intelligence, Section 5, or MI5, whose headquarters was in highly secured office suites at Thames House Headquarters. Spooks starred Peter Firth as Harry Pearce, Matthew Macfayden as Tom Quinn, Keeley Hawes as Zoe Reynolds, Hugh Simon as Malcolm Wynn-Jones, Rupert Penry-Jones as Adam Carter, David Oyelowo as Danny Hunter and Rory MacGregor as Colin Wells. Crossing Lines is a crime, drama, action television series that aired on NBC for 3 seasons, from June 23, 2013, to December 4, 2015. The series showcased the lives of a specialized crime unit, which hunts down criminals who cross over European borders. Crossing Lines starred William Fichtner as Carlton Hickman and Elizabeth Mitchell as Carine Strand. Dexter is a crime, drama, mystery television series that aired on Showtime for 8 seasons, from October 1, 2006, to September 22, 2013. The series focused on Dexter Morgan, a blood spatter pattern forensic expert for the Miami Metro Police Department by day and a serial killer vigilante by night. Dexter starred Michael C. Hall as Dexter Morgan. Person of Interest is a crime, action, drama television series that aired on CBS for 5 seasons, from September 22, 2011, to June 21, 2016. The series centered on Harold Finch, a mysterious billionaire computer programmer, who creates The Machine, high-tech computer system, for the United States government. Person of Interest starred Michael Emerson as Harold Finch. 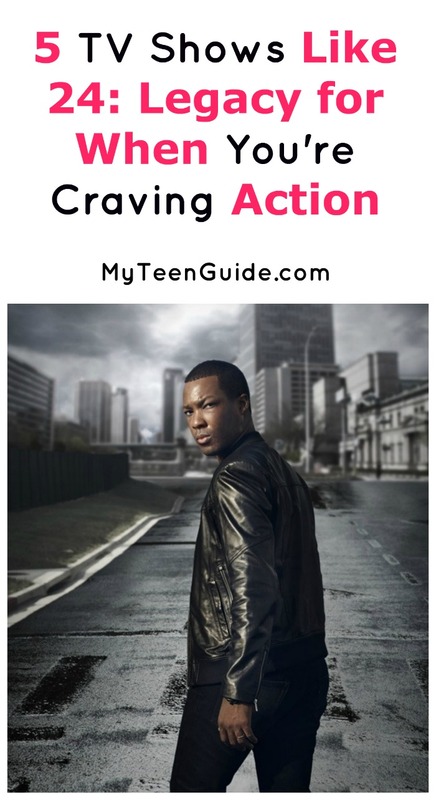 This is one of my favorite shows like 24: Legacy and totally binge-worthy! These great action shows like 24: Legacy should get you started on a weekend of binging and tide you over in between episodes! Do you have any others you would add to the list? Share in the comments!